Today it was my great privilege to be a fool. One of a group of fools who today met at the Capitol to crown our king, the King of the Fools: Governor Current Occupant Scott Walker. 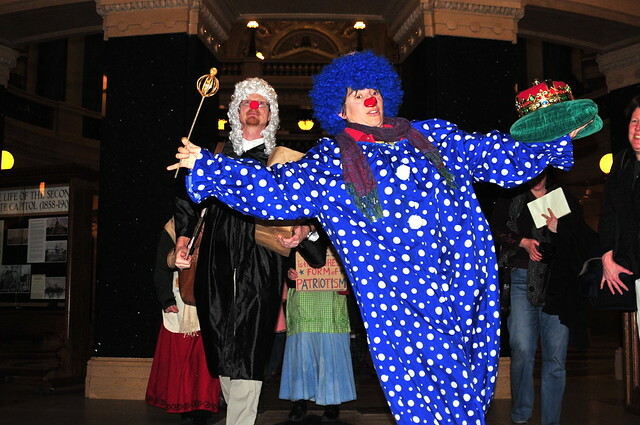 Bedecked in our best motley, many with clown noses in place, we marched from the rotunda to the Gov's CO's office to present him with his KoF Crown and Scepter. 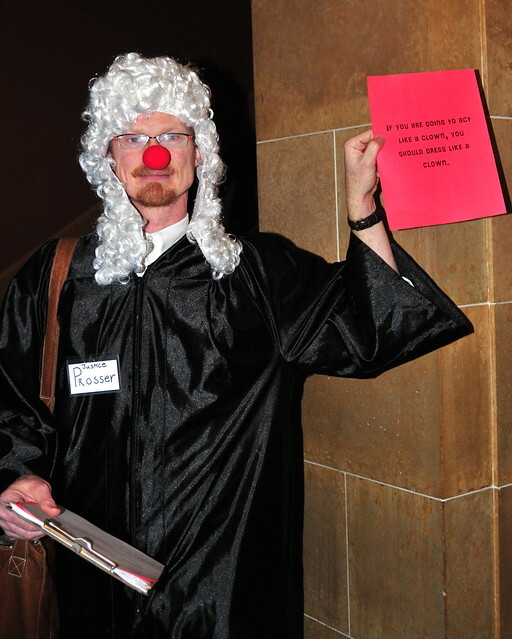 Because as our chief legal fool, Justice David Prosser, says, "If you are going to act like a clown, you should dress like a clown." The law enforcement officers at the Governor's Current Occupant's office thought the situation was pretty amusing. 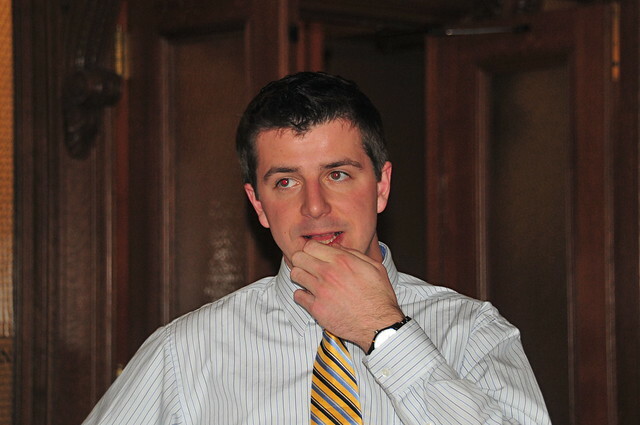 The Governor's Current Occupant's representative was a bit more dubious, uncertain how to play his role. Following our visit to the Gov CO, we paraded to the offices of those Republican senators and representatives who are the target of recall efforts. 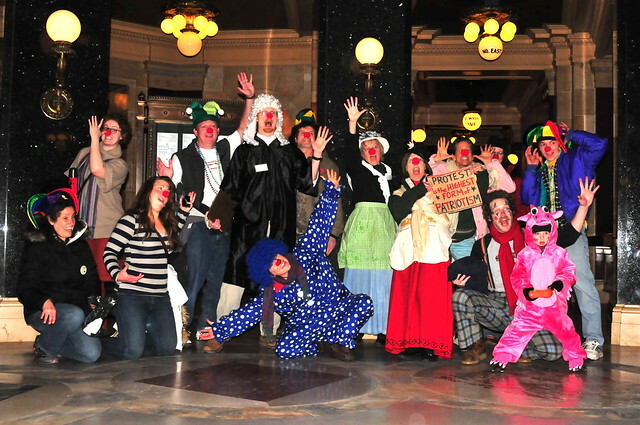 Each was given a proclamation and a souvenir clown nose.